The 14th Master Chief Petty Officer of the Navy turned subordinates into waiters serving him coffee and meals, bellowed and berated his staffers and failed to report a gift bestowed on him as a high-ranking official, Inspector General investigators determined. Obtained by Navy Times following a Freedom of Information Act request, the IG report into what sailors alleged was a toxic Pentagon post concluded that MCPON Steven S. Giordano “failed to exhibit exemplary conduct” during his brief 96-week reign as the sea service’s senior enlisted leader. 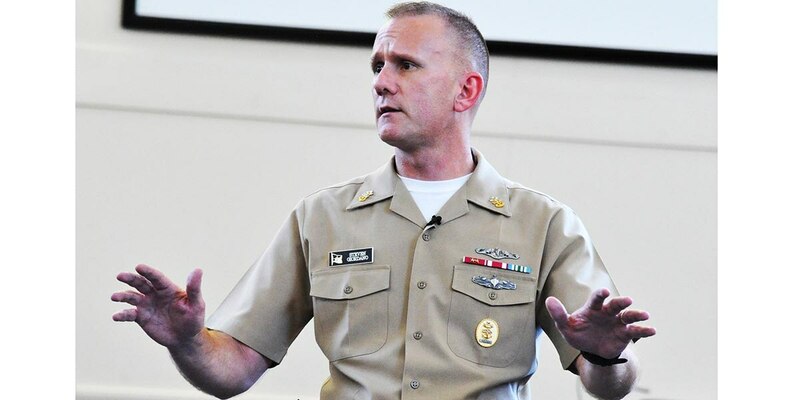 “MCPON yelling at (s)ailors, using profanity towards them, and making jokes at their expense is not a good example of virtuous behavior, does not promote the general welfare of the enlisted persons under MCPON’s charge, and has the capacity to erode any trust and confidence that the (s)ailors may currently possess for the MCPON office," investigators concluded. At the same time, investigators failed to corroborate allegations that his driver chauffeured him in a government vehicle to the airport for official travel — although he allegedly asked for the royal treatment frequently, only to be told by his staff it wasn’t allowed. Now retired and living near Washington, D.C., attempts by Navy Times to reach Giordano by telephone and email were unsuccessful. Sailors who have worked with Giordano say that he has a ferocious temper, a bullying leadership style and can be verbally abusive. The probe into Giordano’s leadership style began with a May 24 complaint from a member of his Pentagon staff. He resigned from his post less than a month later, following a cascade of Navy Times stories detailing allegations about his hair trigger temper and accusations that he behaved like a Hollywood diva. Investigators interviewed Giordano and 13 unnamed witnesses, including past and present members of his staff, a chief petty officer, two fleet master chiefs and two command master chiefs, according to the report. Investigators highlighted one incident in 2018, when witnesses said Giordano unleashed a “profanity-laced outburst towards a staff member who tended to being on the receiving end of his anger,” according to the report. During his interview with investigators, Giordano conceded that “he may have raised his voice a couple of times” with the sailor but “denied shouting, yelling, or using abusive language," according to the report. A witness to the outburst told investigators that watching Giordano screaming at a fellow chief made him think “this guy is (expletive) crazy." He wondered why the MCPON “can’t just listen for a second and why he feels so — such a need to control” others, according to the report. Master Chief Petty Officer of the Navy Steven Giordano has been absent on the many important issues facing the Navy during his time as the top enlisted leader. Other witnesses spoke of Giordano relishing coffee and on multiple occasions summoned his staff to fetch him a cup. During a March 2018 visit to Recruit Training Command in Great Lakes, Illinois, to meet with Rear Adm. Michael Bernacchi, personnel put out a spread of doughnuts and coffee “in a self-serve manner," a sailor told investigators. All the others at the meeting, including the admiral, stopped at the table and served themselves on their way into the session — except Giordano, who "entered the room, walked past the coffee and doughnuts and sat down in his seat,” a witness said. Then the MCPON “leaned back and said, ‘I’d like some coffee,’” according to the report. Multiple witnesses told investigators that a sailor served Giordano his coffee. Investigators also pointed to an alleged Feb. 28, 2018 episode when Giordano’s driver was ferrying him in his government vehicle to Walter Reed National Military Medical Center. The witness told investigators that he “interpreted this as an order and went inside to purchase the MCPON’s coffee." Similar coffee pit stops pepper the IG report. Master Chief Petty Officer of the Navy Steven Giordano announced his retirement after reports of fostering a toxic work environment in his Pentagon office. Investigators also looked into an alleged incident at a 2018 Sailor of the Year picnic, when Giordano directed a staffer to fetch him a plate of chow because he was busy talking to others, investigators wrote. "I would always pay for my own coffee and all that kind of stuff," he said. Giordano also denied ever ordering staffers to fetch his food, but instead recalled someone volunteering to bring him chow, plus a meal for one of the people in the conversation, according to the report. Investigators determined that Giordano failed a to report the gift of an elaborate challenge coin minted to resemble a charge book vessel. 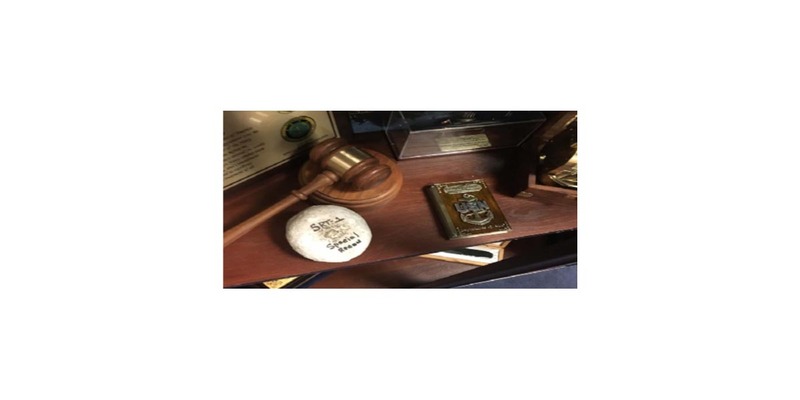 A charge book vessel often includes a list of infractions committed during a chief’s initiation and is signed by master chiefs and high-ranking officers, becoming a treasured keepsake of a CPO. This coin was valued at more than $100, investigators wrote. Giordano was accused of becoming so enamored with the gift that he told his staff not to report it , assuring them that he would safeguard it in his office, according to the IG report. But Giordano denied that ever happened, telling investigators that his intentions likely were misinterpreted. “I may have said, you know, ‘Make sure this gets back to the office.’ That doesn’t mean, you know, 'Take it and put it in MCPON’s office somewhere,’ that means “take it back to the office for processing,” he said. In November, service spokesman Cmdr. Jereal Dorsey told Navy Times that “Giordano received verbal counseling about the findings of the report,” which was dated Aug. 21. By that time, Navy superiors already had approved Giordano’s retirement, greenlighting him to start terminal leave before he retired from the service.